We are pleased to announce that Patricia A. Gilman and Steven A. LeBlanc are 2016 subvention award recipients for their upcoming volume “Mimbres Life and Society at the Mattocks Site in the Mimbres Valley of Southwestern New Mexico” (University of Arizona Press). The purpose of this program is to provide money in support of the publication of digital or print books or Kiva journal articles that further AAHS’s mission. We are also pleased to announce that one of the publications which received a 2015 subvention award is now available. 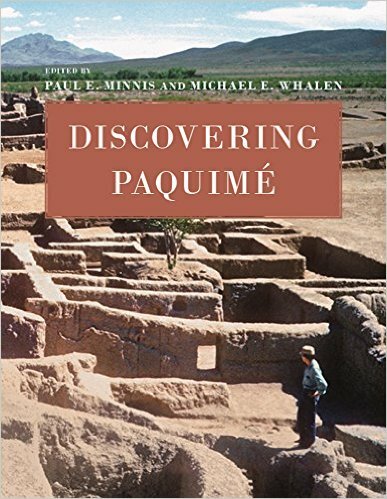 “Discovering Paquime”, edited by Paul E. Minnis and Michael E. Whalen ($12.95) is designed for the general reader and available from Amazon.